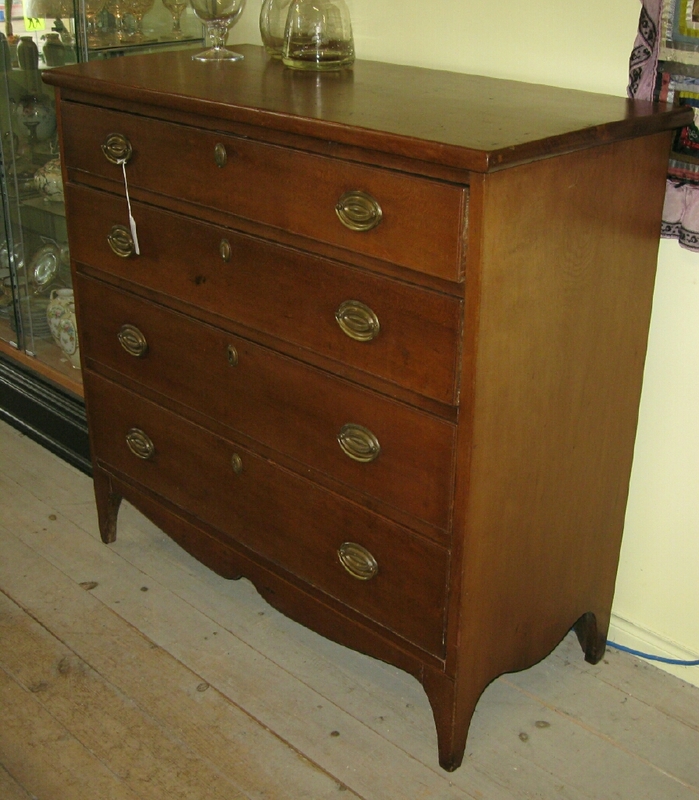 Nice early cherry hepplewhite chest of drawers out of Eastern Ontario. Old refinish with replaced brasses. Circa 1850. It measures 41 inches wide by 19 deep by 40 inches tall.